Contrary to the approved 59.2 percent increase in electricity tariff by the Public Utilities and Regulatory Commission (PURC), consumers have been slapped with a 75 percent increase. 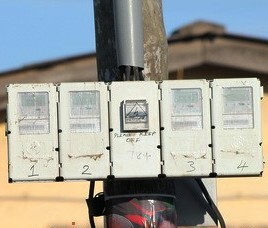 This is due to a directive by the PURC to Electricity Company of Ghana (ECG) to charge additional costs. A group calling itself Pre-paid Demonstrators has threatened to hit the streets if the ECG does not resolve the technical challenges that have resulted in the undue charges. In December 2015, PURC announced increases in utility tariffs, with 59.2 percent increase for electricity and 67.2 percent for water. But since then, some consumers have complained that their electricity credits run out rashly. The group, in a statement sighted by Nii Ogbamey Tetteh, blamed the situation on “unpardonable and unrealistic” technical challenges. “Consumers with the pre-paid meters are currently experiencing difficult times with many being cheated as we may put it. The situation has been blamed on technical challenges which for us is unpardonable and unrealistic because we strongly believe that while authorities announce increment in utility, it should take steps to enhance the delivery and quality of services rendered to Ghanaians,” the statement signed by Kwabena Berima, Public Relations Officer (PRO) for the group said. Pre-paid Demonstrators called on ECG to withhold the increment of electricity tariff until the technical challenge was rectified. Consumers are paying extra 5 percent for a streetlight levy and another 5 percent increase for the national electrification charge. Furthermore, consumers pay a regular monthly service fee ranging from GH¢6.33 to about GH¢60 depending on the quantum of consumption and user classification. This simply means if for instance a consumer buys GH¢20 worth of power, which initially could last averagely for about two weeks for a regular household, it may now take less than a week. Meanwhile, John Jinapor, Deputy Minister of Power, has admitted that some deductions were wrong and that the ECG would rectify the problem. “The system was configured to rise from the 1st of every month but they informed me that the tariff adjustment took effect on the 15th so it calibrated as if it was charging customers on the 1st. I have asked them to work on their systems and to rectify that so that we do not have a repeat of that problem,” he said. From the information ECG gave to me, they have a prepayment meter customer base of 531,014. Out of that, they have credited back to about 333,902 so they are in the process of rectifying that, the deputy minister added.